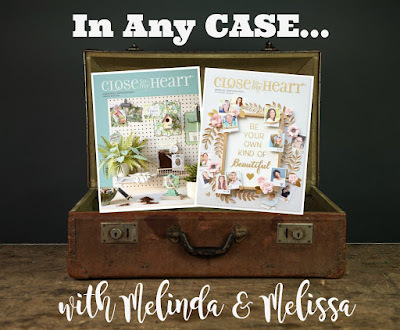 Join us twice a month as we CASE, “Copy And Selectively Edit”, artwork created by the Art Department of Close To My Heart as showcased in the current Idea Books and our Make It From Your Heart How-To Books. On the 2nd and 4th Thursday of each month, at 7 pm CST, we will direct you towards a piece of art and recreate it using the exact products or others that compliment its initial design. Tips, techniques and assembly directions will be shared in detail to help you recreate them on your own. As you reproduce the items we have shared, post them on social media using the hashtag #ctmhinanycase. We will randomly search that hashtag and reward those who CASE our items. Winners will be announced on our blogs so be sure to follow us! Today I am CASEing this beautiful card from page 45 of the Holiday Expressions Idea Book. Don't have a hard copy? You can view a digital copy online or you can get one FREE with an order! Contact me with questions. Do you see the stitching?! Yes I did include it and love how it turned out! Did I use a sewing machine? Nope, I sure didn’t! I used our Stitch Guide – IN THE CLEARANCE SECTION, while supplies last – and a PiercingTool to make the holes in the cardstock. Then I took a needle and some of our Silver Embellishing Thread to stitch through them as shown. Pretty fun, right?! To add some texture to that top gray strip, I stamped the arrow image repeatedly in Charcoal ink from the related stamp set shown here. 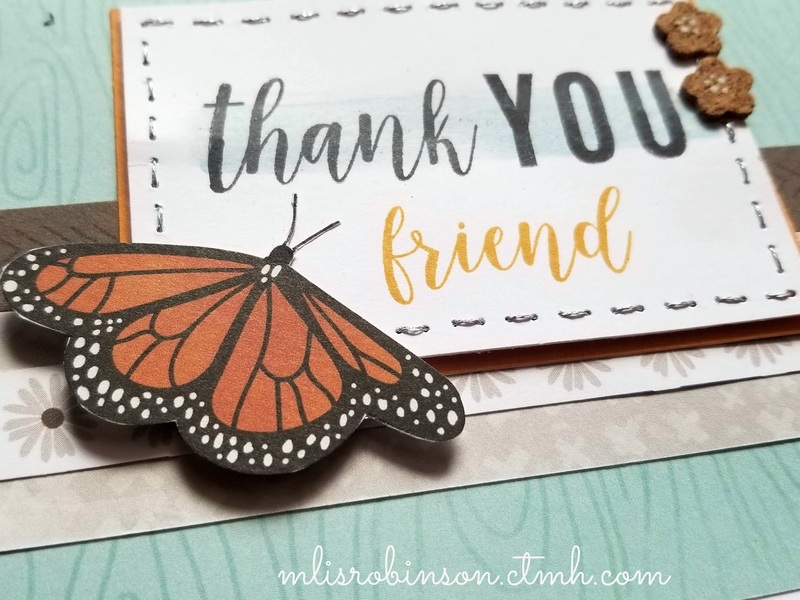 The butterfly image came from the stickers included with the Grateful Heart Complements. While I don’t have the new Cork Images just yet, I included some hearts that are from a retired package (and also available in the Clearance Section). As you can see, on the original artwork, there is a little bit of color behind the sentiment. They used the Mint Shimmer Brush to add it. I don’t own that color yet but it’s on my next order! I chose, at this time, to use the Watercolor Paints to add the splash of color. 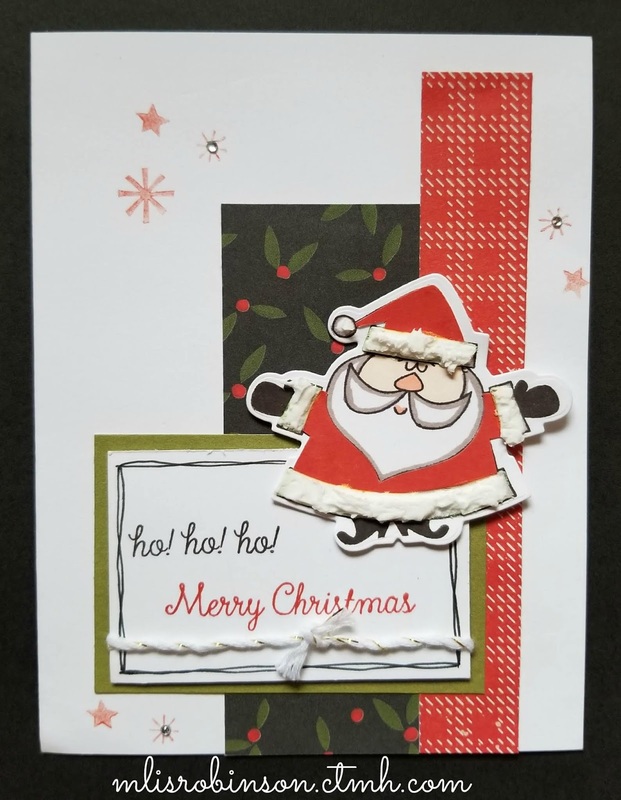 I love the simplicity of this card design which allows you to use scraps of paper, besides the main patterned piece in the background. I can see great potential for it! 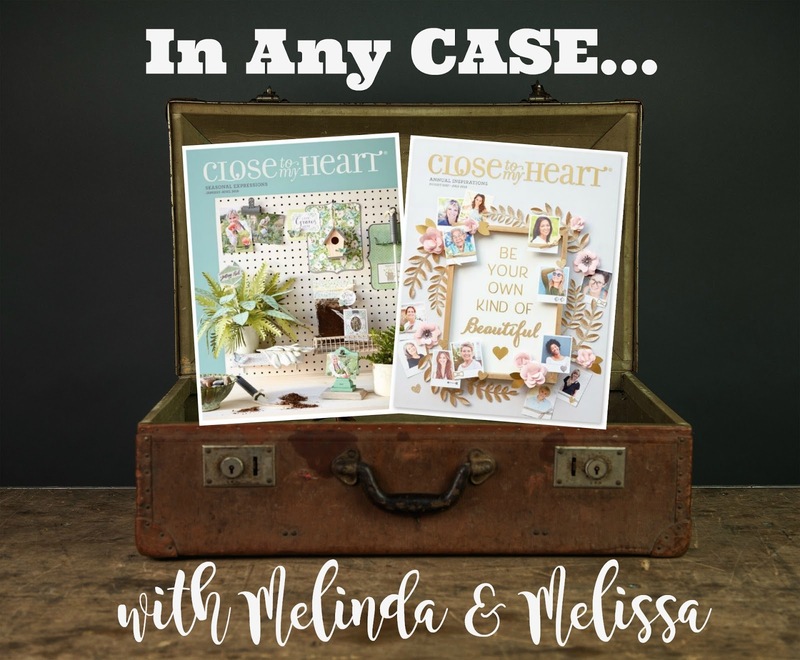 My partner in CASEing, Melinda, is taking this week off but will back with us next week! You are always welcome to check out the artwork she shares on her blog. 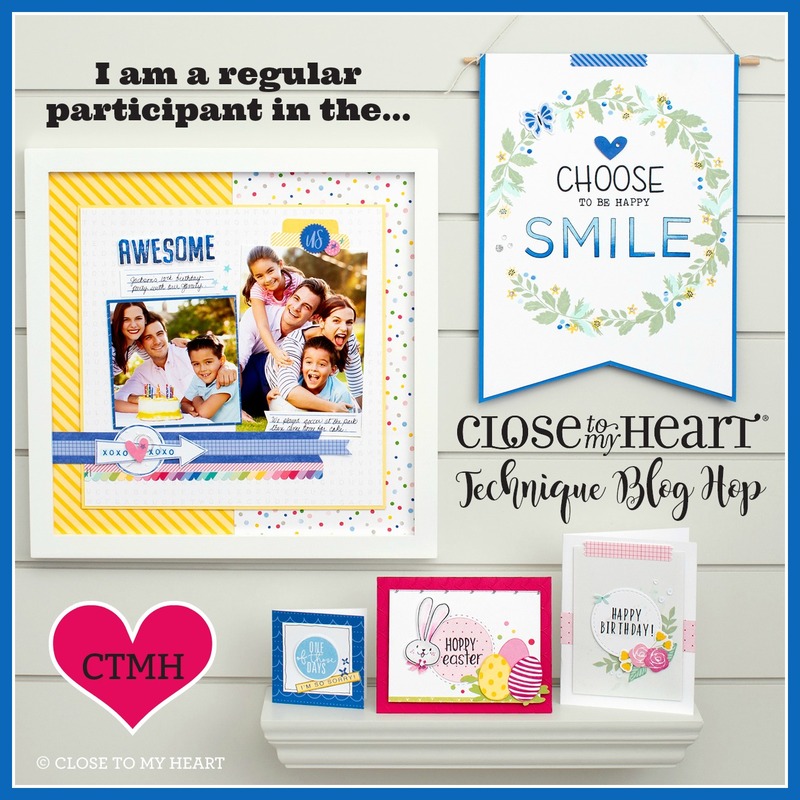 When you CASE artwork from us or CTMH, please be sure to tag it with #ctmhinanycase, on social media. We would love to send you a goodie for doing so! Wishing you a great end to your work week! 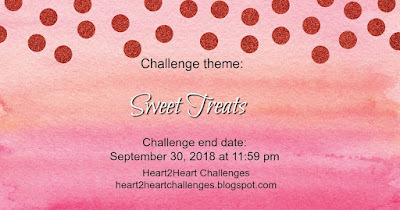 Thanks for joining me today as I showcase artwork aligned with "Sweet Treats", the Heart 2 Heart Challenge for this week! While the September Stamp of the Month is called just that, you can interpret the theme however you would like. 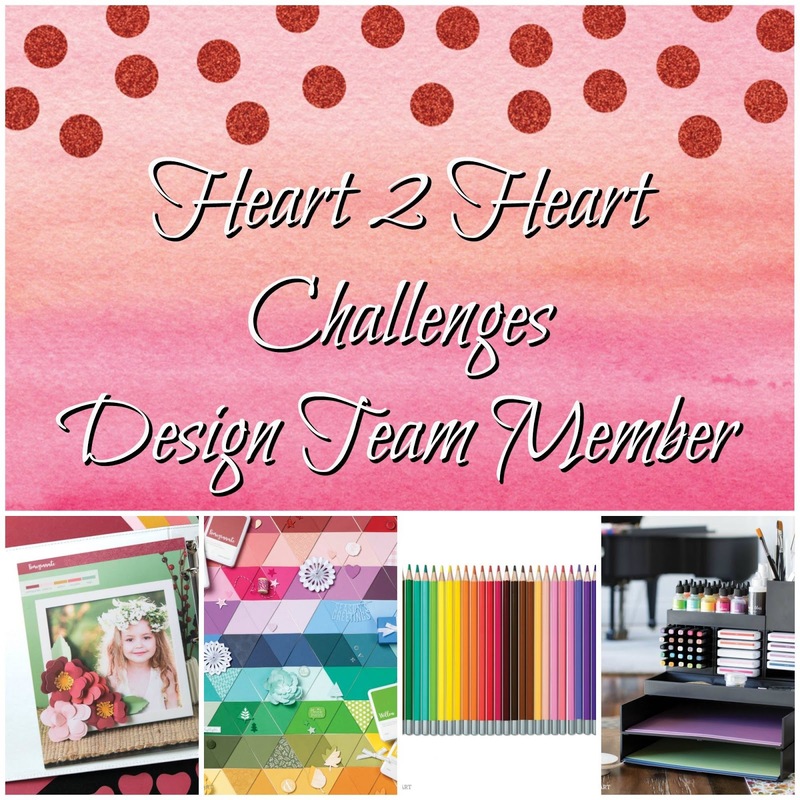 To link up to our Challenge be sure to incorporate Close To My Heart product in your creation and note what it is that you have included, especially if it's not obvious. This is the stamp set I used and you can find details about how you can get it here. 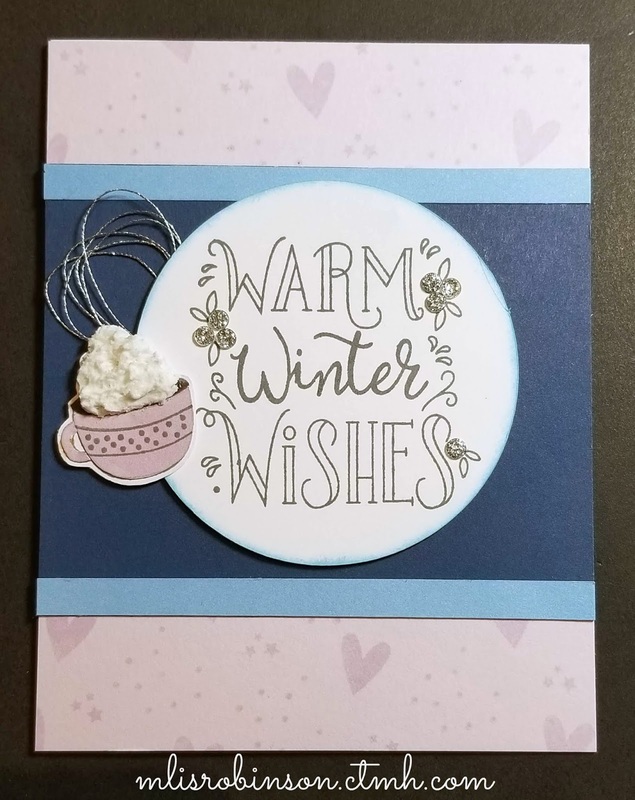 I am pleased with how this card came out and hope you like it! I random-stamped the Lilac cardstock to create a texture and then included Bluebird and Carolina; all new colors released on September 1st! I think they go great together! The sentiment was stamped in Charcoal and I added some Silver Embellishing Thread and Silver Glitter Gems. To create the cup of hot cocoa, I paper-pieced it on Lilac cardstock and then added the decoration in Charcoal ink. Texture Paste was used to create the whip cream which is three dimensional. It is super fun! 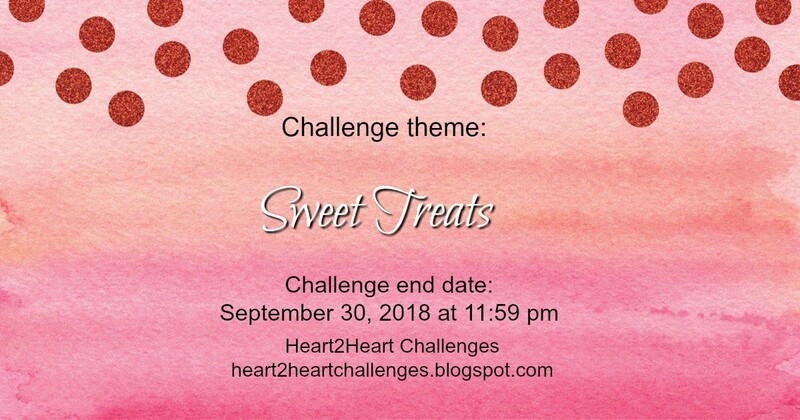 So...head on over to Heart to Heart and consider linking up to this Challenge or any other for September! We love to see your creations! Have a great day/week and be sure to... Make it from your heart! 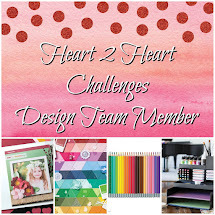 Welcome to this week's Heart to Heart Challenge where "Ribbon" is our focus. You can incorporate it in any way you choose. I look forward to seeing creative ways in which to use it! To link up to the challenge, just visit the blog and click on the respective link at the bottom of the challenge post. 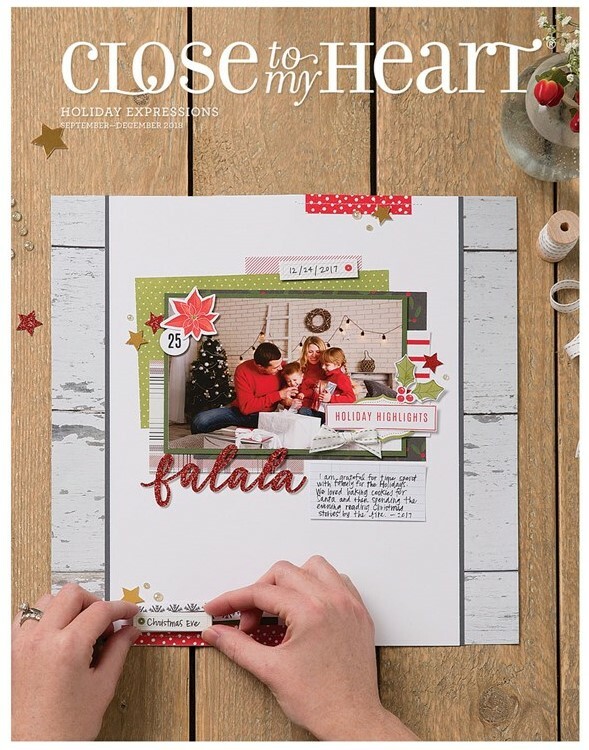 Be sure to use Close To My Heart products in your artwork. 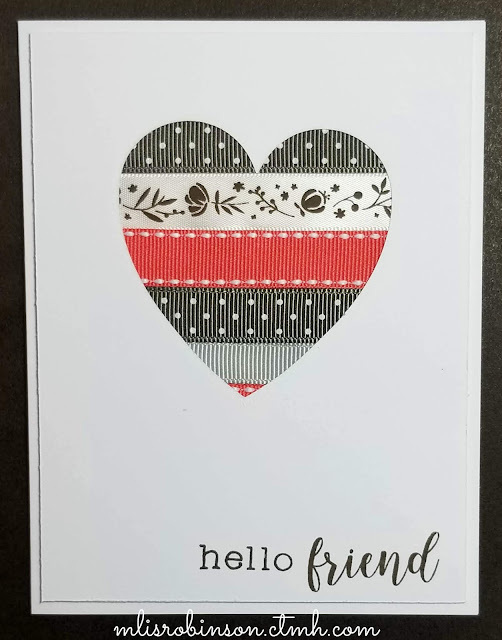 This simple card creation was made by cutting the largest Thin Cut Heart out of a White Daisy piece that measures 4" x 5 1/4". After stamping the sentiment in Espresso Ink, I glued strips of ribbon (they are retired) on the back side of the cardstock and then used 3-D Foam Tape to adhere it to the front of the card base. That's it. It was that simple. What a fun technique that can be used for a variety of themes, don't you think?! Thank you so much for stopping by today. Be sure to consider linking up to us at Heart 2 Heart. You can join any of our September challenges through the end of the month! 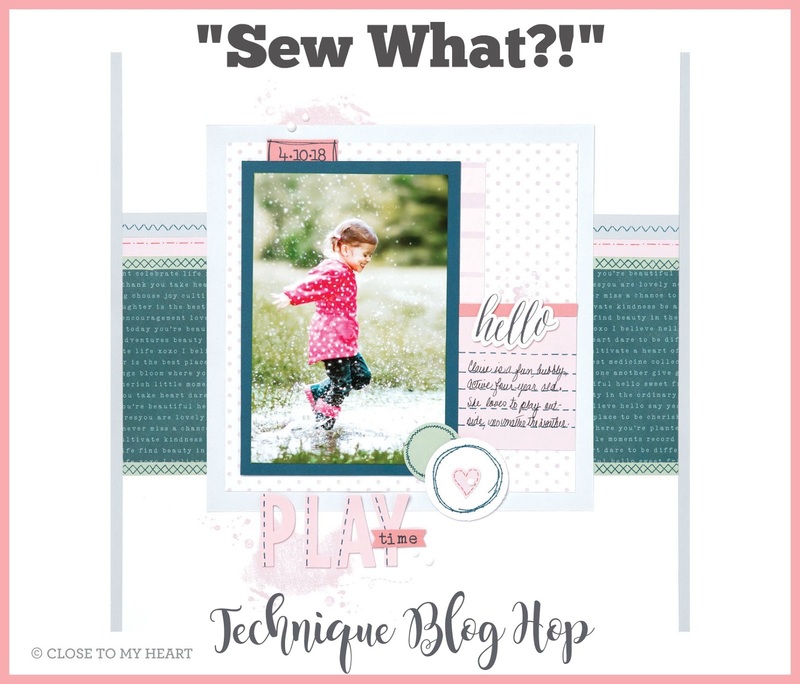 Welcome to this month's Technique Blog Hop where we use Close To My Heart products to highlight different techniques. This one is called, "Sew What?!" The participants can incorporate stitching - real or faux - on their artwork. It will be fun to see what everyone has created to share! If you are coming from Vandra's Blog, you are on the right track. You can find a list of participants at the bottom of this post, if you were to get lost along the way. 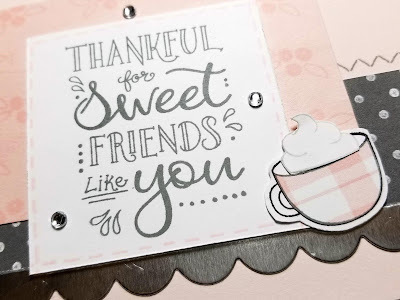 I couldn't help but make another card using the September Stamp of the Month, "Sweet Treats". Ballerina, one of our new colors, was incorporated for a soft pink look. This time it was a must that I incorporate the cute mug and whip cream. 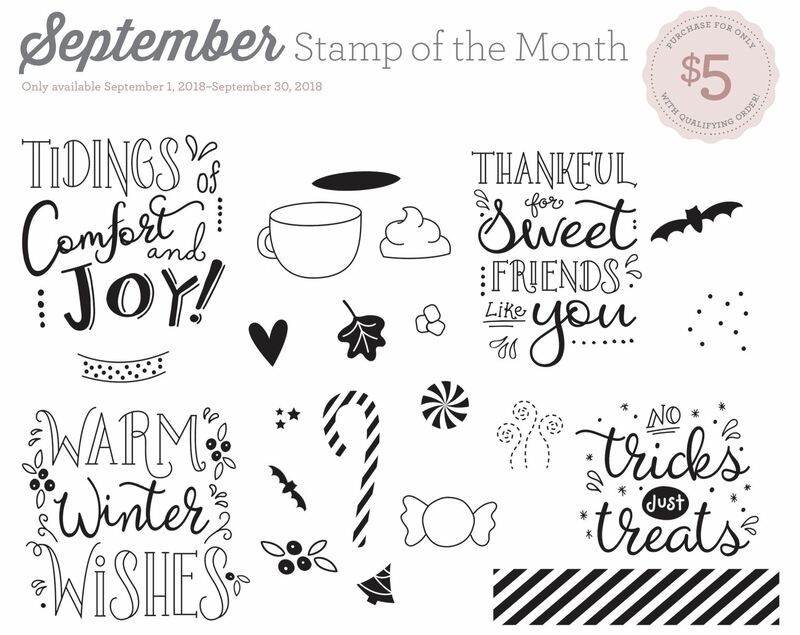 Remember, you can get this stamp set for $5 - during this month only. 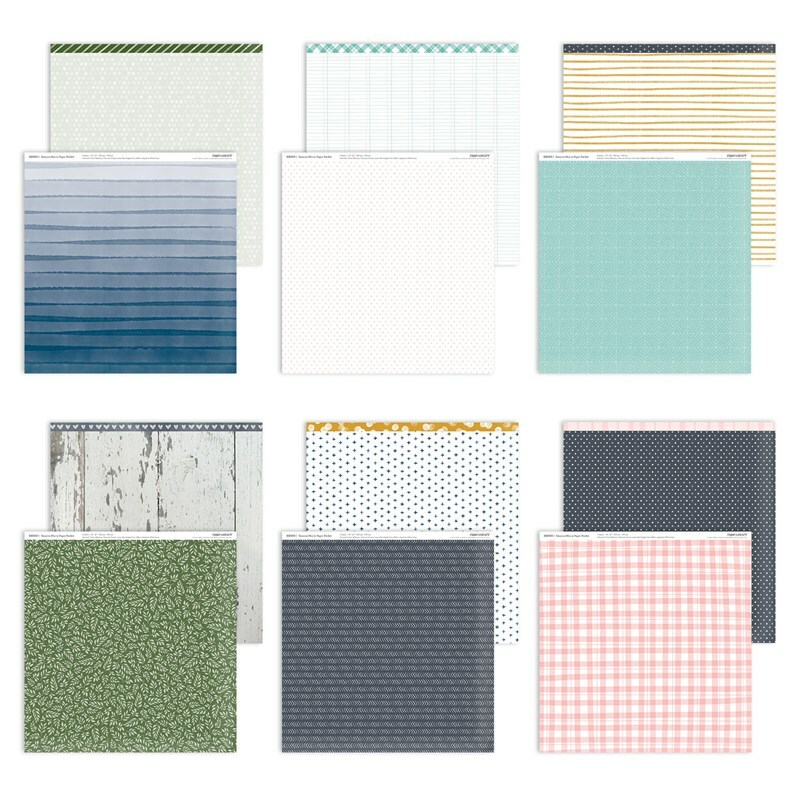 The patterned paper comes from our Season's Mix-ins which is designed to coordinate with the other paper collections in the Idea Book. 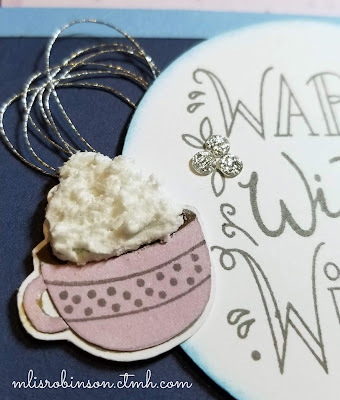 On the close-up of the focal point, you can see that I paper-pieced the mug - isn't it cute?! I also random-stamped the Ballerina cardstock piece with the small floral image from the stamp set. Stiching was also added around the sentiment and you can see the zig-zag stitch above the patterned paper. 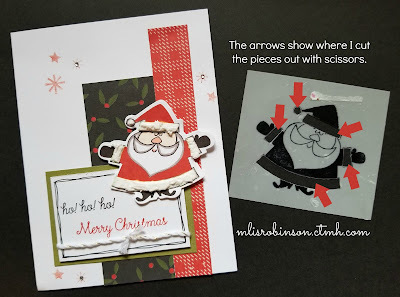 While it's not depicted great in the photo, the Scallop Border Thin Cut is cut out of Silver Foil Paper. A few Clear Sparkles were added. Thank you so much for stopping by. Consider leaving a comment, if you would like. I always love to hear from you! Now, head on over to Haley's Blog to see what fun she is showcasing for this Hop! 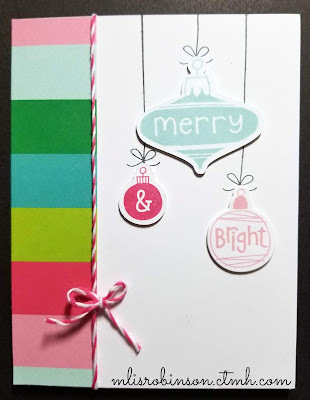 Today I am recreating this fun and simple card made with new products from the Oh What Fun product line. In the Idea Book it is showcased with other beautiful pieces of artwork so go check it out on page 65. If you don't have a hard copy, don't worry! 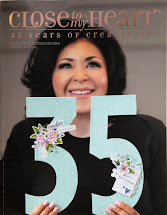 You can flip through the virtual pages of the Idea Book by clicking here. Want a hard copy? Contact me for details on how to get one in your hands! 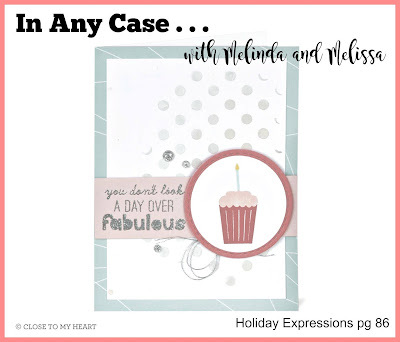 My partner in CASEing, Melinda Everitt, is highlighting a fun card - that you will love - so be sure to keep reading to the bottom of this post. Sometimes "simple and clean" is best, in my opinion. That is exactly what is taking place with this card design. Just a 1 1/4" piece of the striped pattern paper, three die cut ornaments - and an adorable stamp set, and some Rasberry Baker's Twine are all it took to create it. Isn't that awesome?! 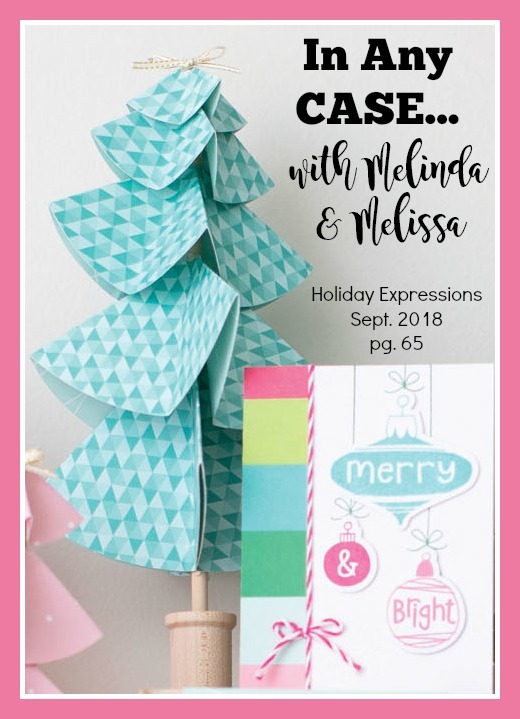 The cheerful colors of the paper, stamp images and twine create for a fun and festive Christmas card that is super easy to make! 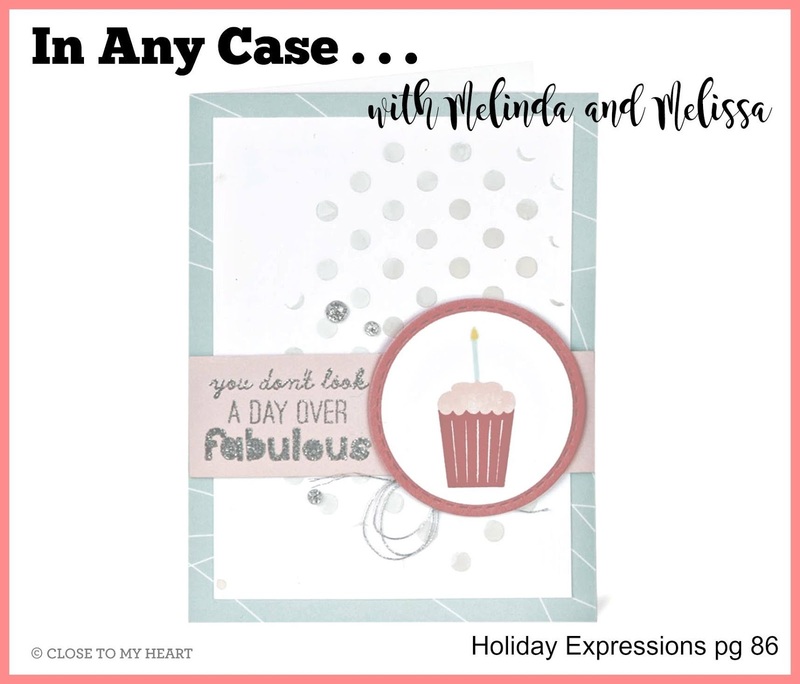 Melinda is making ⬆THIS⬆ card and tells you how on her blog. Go check out Melinda's creation. We love for you to leave comments so let us know what you think. Tag your CTMH-CASEd artwork with #ctmhinanycase. We peruse social media and are ready to mail some goodies! Enjoy the end to your week and be sure to... Make it from your heart! It's here, it's here! 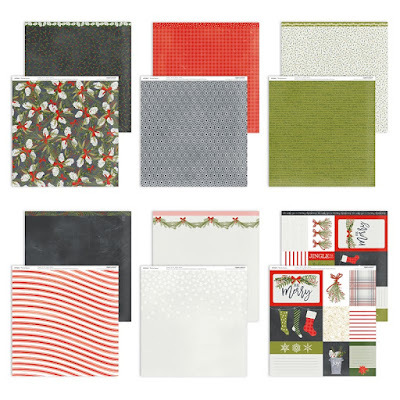 Our NEW Holiday Expressions Idea Book which means...NEW PRODUCT! WOOHOO! And...not only is it NEW product, it's FABULOUS NEW product that you are going to love! Trust me...grab a notebook and pen as you make your way around this hop where we showcase many of them! I'm sure you'll come across some products that are a must-have so be sure to read through the posts and the supply lists so you don't miss a thing! Would you like to see the new Idea Book? You can do so by flipping through the digital version on my website, by placing an order, or contact me directly (if you don't already have a Consultant) and I will get one mailed to you ASAP! If you are coming from Michelle's Blog you are on the right track. If you were to get lost along the way, you'll find the participant list here. I can't wait to show you what I created! I'm so in love with the stamp set I used, the paper pack, AND the new Texture Paste we are carrying. All were incorporated into this card I made. I hope you love it too! The paper pack used is called 'Tis the Season. As you can tell, it has the traditional Christmas colors. Once in Archival Black Ink on White Daisy cardstock (the base Santa). Using this ink removes the "bleeding" process. Once in Candy Apple Ink on White Daisy cardstock where I cut out just the red parts you see - his hat and coat. Those were glued on top of the base Santa. Then, once in Black Staz-on Ink on our NEW Stencil Sheets. This allowed me to create a stencil where I cut out the parts you see covered in paste. Fun, right?! 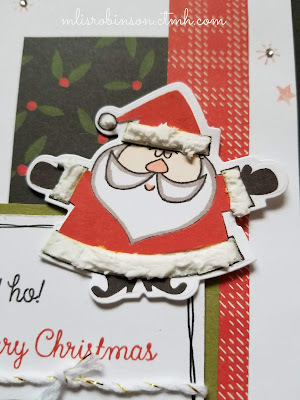 I used Opaque Texture Paste on this Santa (and am looking forward to playing with the other types). The stars and bursts were stamped in 2nd-generation Candy Apple, providing for a lighter hue. And a few Bitty Sparkles provided just the right amount of bling. 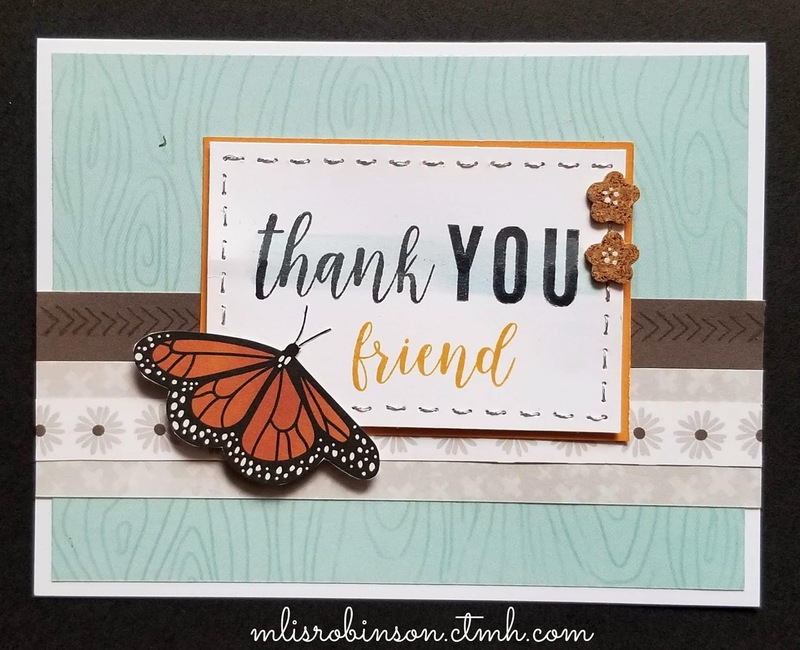 If you currently don't have a CTMH Consultant you are working with, I am showing how I made this card in my VIP Group on Thursday, September 13, 2018. Contact me if you would like me to add you. I would love to hear what you think of my card, if you have a moment before making your way around the rest of the hop. 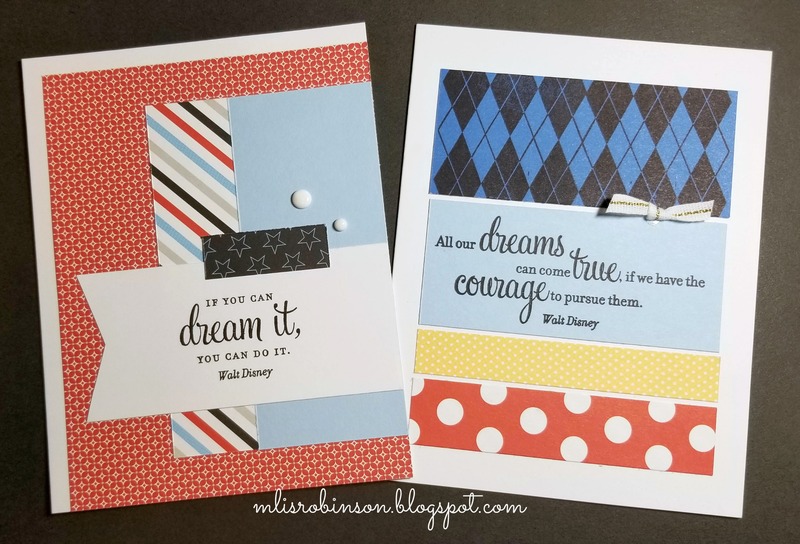 Then, please go check out my friend, Melinda's Blog, to see what fun she created! We are glad you are here! Happy hoppin'! If you aren't subscribed to my newsletter, click on this link and then "Subscribe" in the top, left-hand corner. September not only marks National Stamping Month, it also marks the release of a NEW Idea Book which means NEW products and artwork! There is so much to take in this month so be sure to read below for all the details. 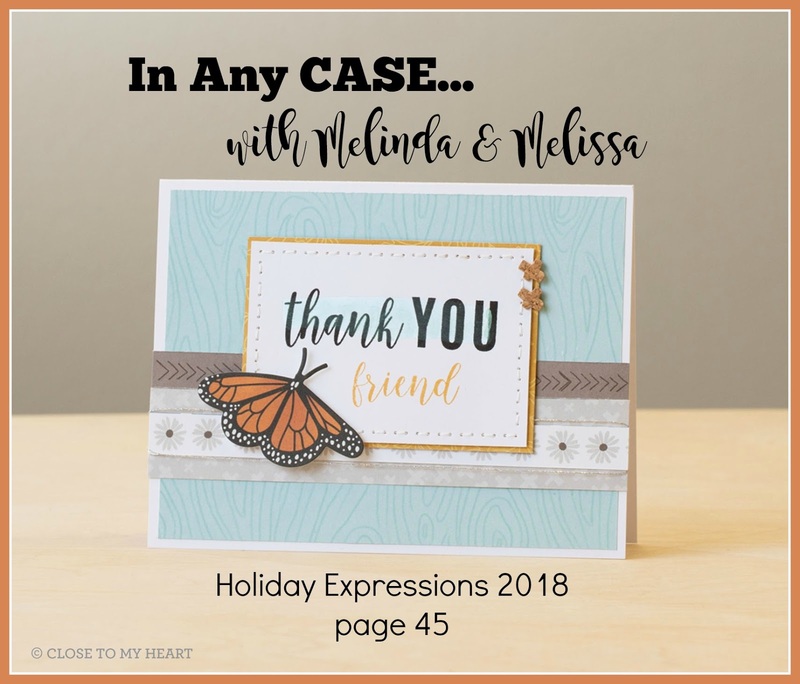 This is the cover of the Holiday Expressions Idea Book with products available through the end of December, while supplies last. Inside you will find 160 pages of FUN! You can page through this beauty right now by accessing the digital version. Want a hard copy? Place an order and you'll get one FREE with your order! Not ready to place an order just yet? Contact me and I'll tell you how I can help you get it in your hands ASAP! How would you like to see me highlight some of the newest products while in your pjs and without makeup? It will provide you an overview of all the goodness contained inside the pages. 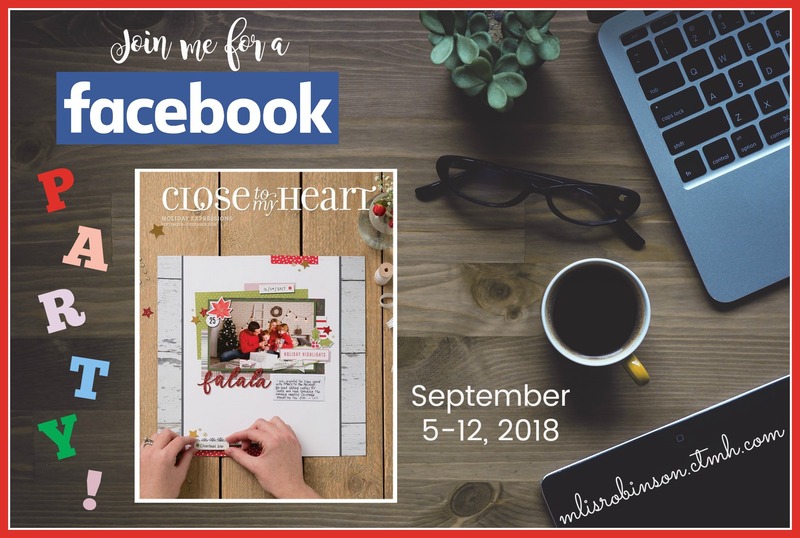 I will be doing that through this Facebook Event, starting September 5th! There will be prize drawings and other fun, with active participation! I look forward to interacting with you, virtually or in person, this month! Keep reading below for more awesome news! 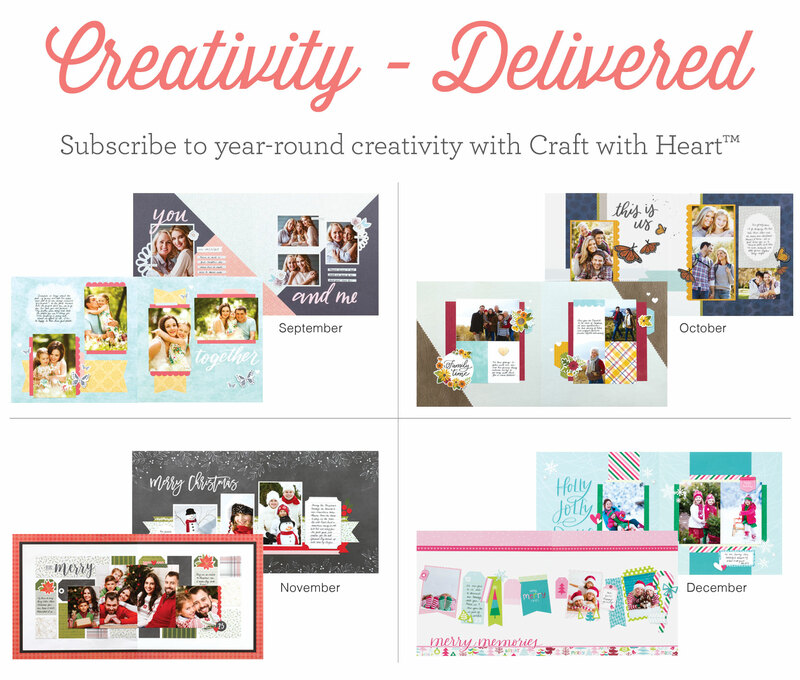 Our NEW Scrapbook Subscription Program! 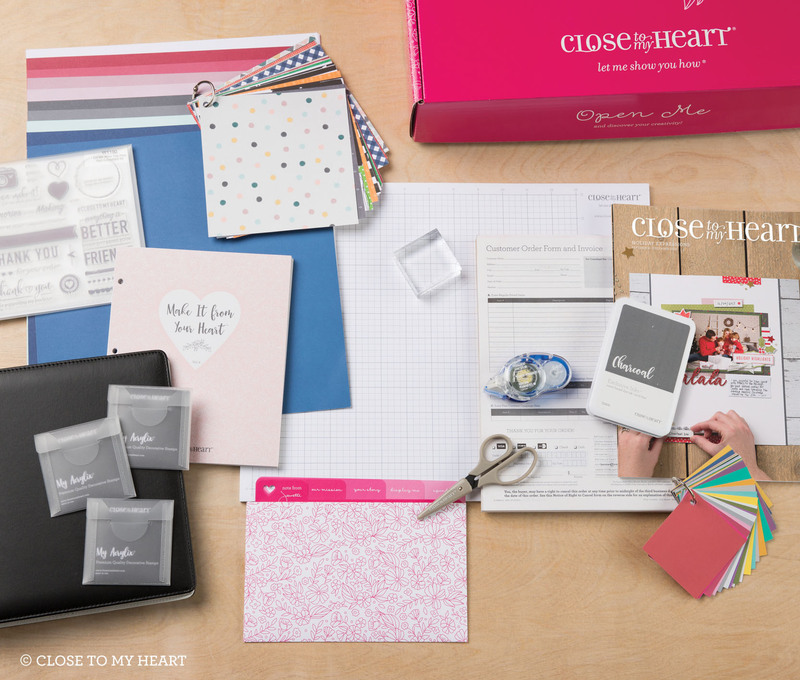 Close To My Heart has now released a Scrapbook Subscription Program where you can have a beautiful box delivered to your door. 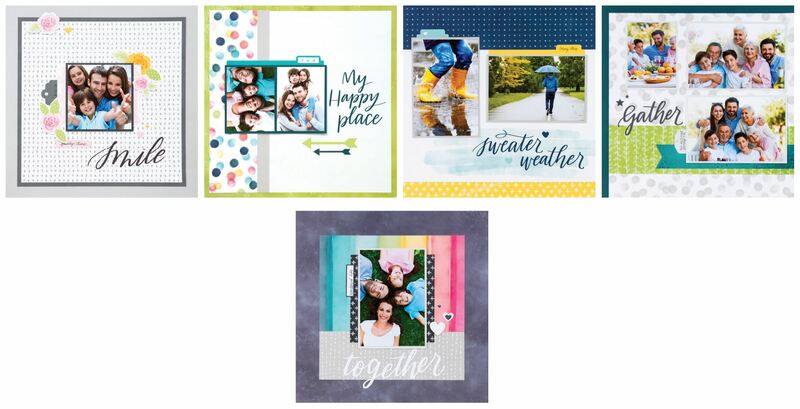 When you receive, it you can enjoy creating beautiful 12" x 12" layouts with ease; needing adhesive, a journaling pen and photos to complete them. The process for signing up is very simple and just requires 3 simple steps: 1) Decide if you want to join the 12-month, 4-month or monthly subcription. 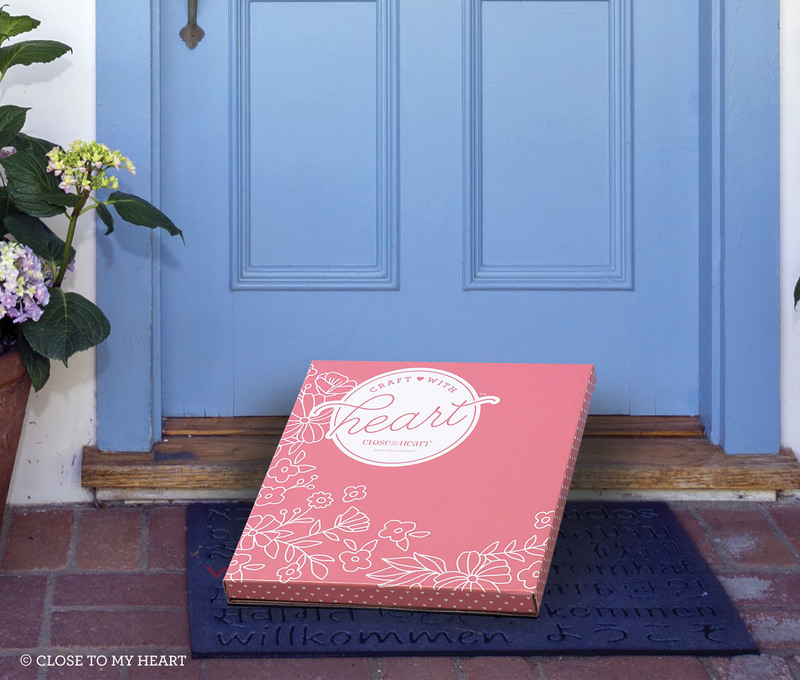 2) Await your delivery with the subscription shipped within 2 to 4 business days. 3) Once it arrives, you can open and create with the goodness included. PLUS, I'll add you to a special group where I will support your layout creations and give you some bonus content I will not provide anywhere else! 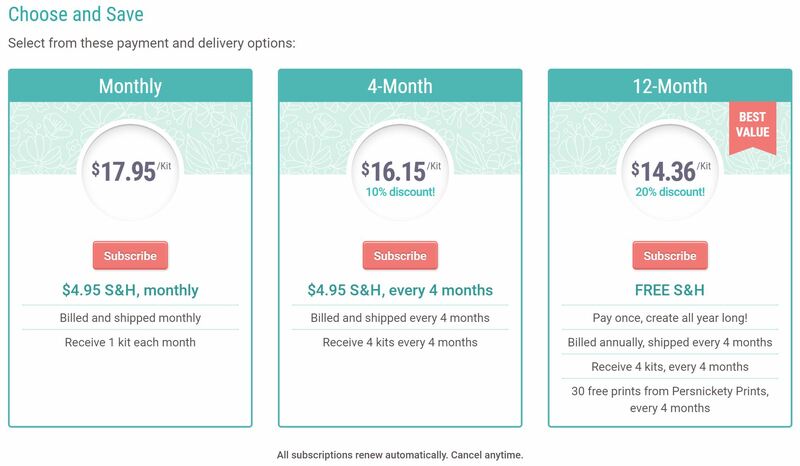 The 12-month/annual subscription is the greatest value, as noted in the chart above. You'll see you receive FREE shipping (mailed SmartPost) and get a total of 90 FREE photo prints within the year! 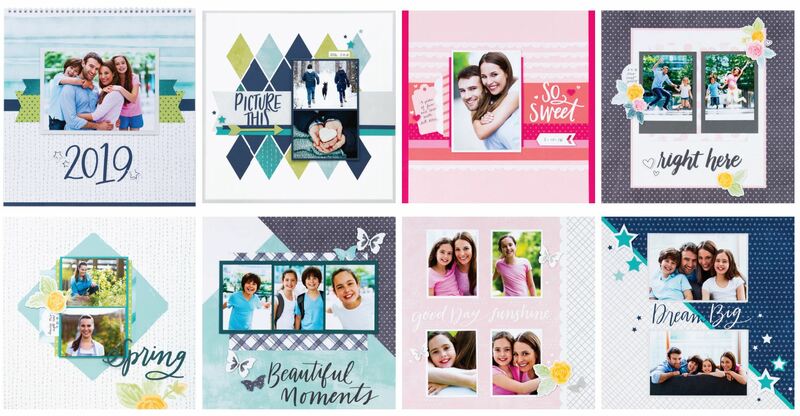 The gorgeous Cut Above layouts will be enjoyable to assemble and will look great with your photos and story! When you are ready to join the Club, you can enroll in the membership on my website. There you can also find details regarding the various options as well as enlarged photos of the finished pages. 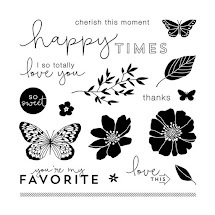 I love, love, love all the fun sentiments and images included in this stamp set. It's got potential for a variety of occasions. This was the first card I made with the stamp set but I have some other ideas on my mind and will be creating and sharing them soon! 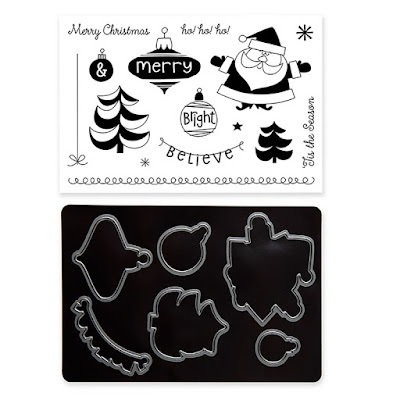 Be sure to add this stamp set to your order! We've got a fun way we are celebrating National Stamping Month and you'll want to be sure you get this fabulous kit in your hands! 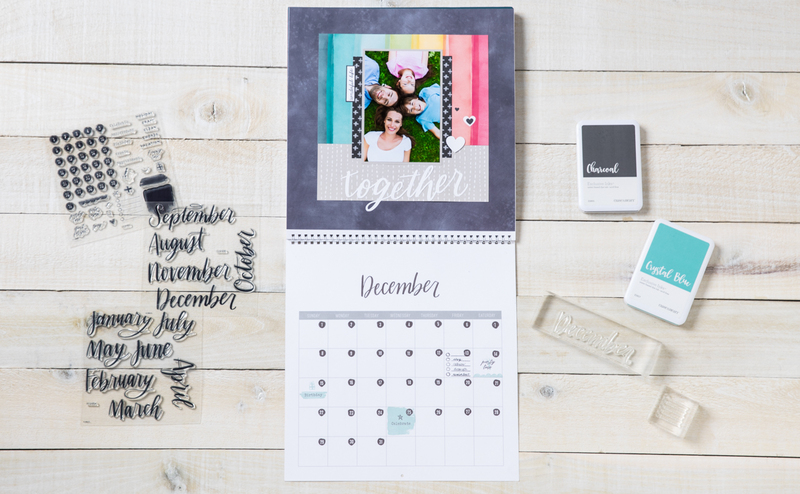 You can choose to create the 13, 12" x 12" pages and insert them into an album, or put them on a calendar! I have posted details about this special on this Blog Post. You can also find prices on the pieces and bundles, offered at a discount, on my website. I am hosting a class for this on October 2nd. See that information below! I hope you can join me! The best place to RSVP for these events is on my VIP Page. 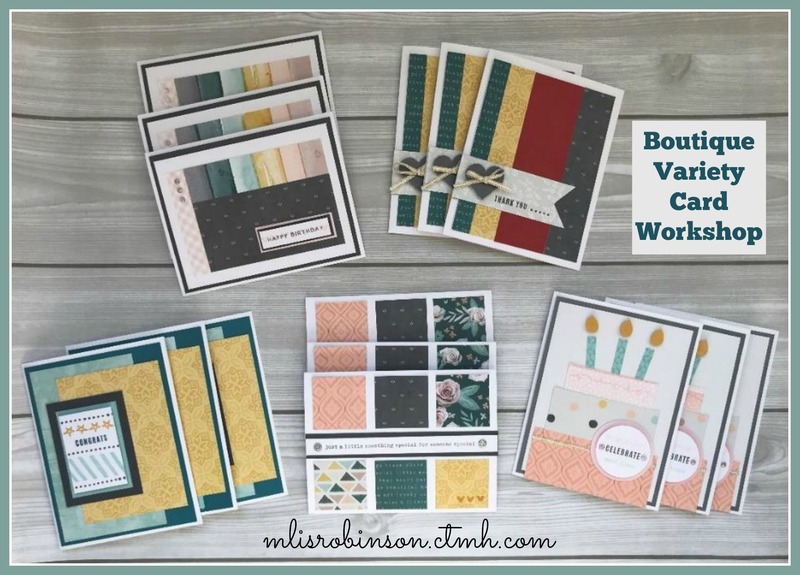 At the conclusion of this workshop you will walk away with 15 handmade cards, 3 each of 5 designs, of various sentiments. Papers will be pre-cut and ready for assemby. There are three kit options available. VISIT THIS LINK FOR COMPLETE DETAILS! 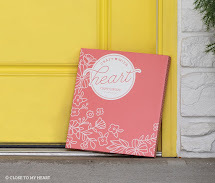 Join me as we make these gorgeous 13, 12" x 12" pages. Everything will be prepared for you to assemble with ease, as we enjoy a night out with the girls! You can choose to put them on a calendar - makes a great gift (think Christmas) - or simply insert them into your Album. DETAILS ABOUT THE KIT OPTIONS CAN BE FOUND HERE! Make Your Memories Even More Magical! 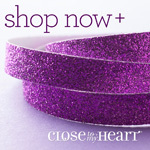 Close to My Heart has brought back the much-loved Magical paper packet, refreshed with new colors, for a limited time! These playful papers feature stars, stripes, hearts, and polka dots. 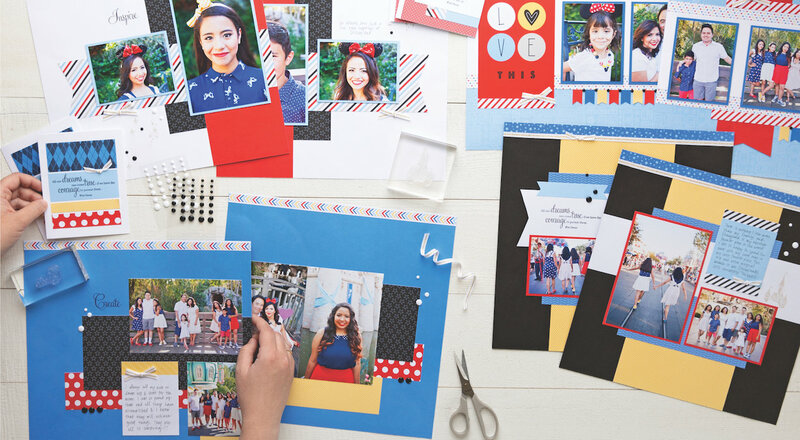 The More Magical paper packet and coordinating products are perfect for use in any craft featuring amusement parks (Disney), adventure, and parties! You can find complete details in the More Magical area of my website! On that page, you will also find the FREE downloadable instructions - for the three layouts and two cards, which I have made and LOVE. That gives you an opportunity to see them in even greater detail and you can use those designs for your other creative projects. 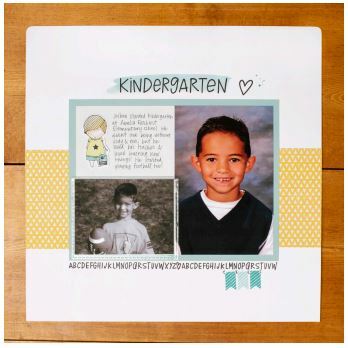 This innovative school album earns an A+! 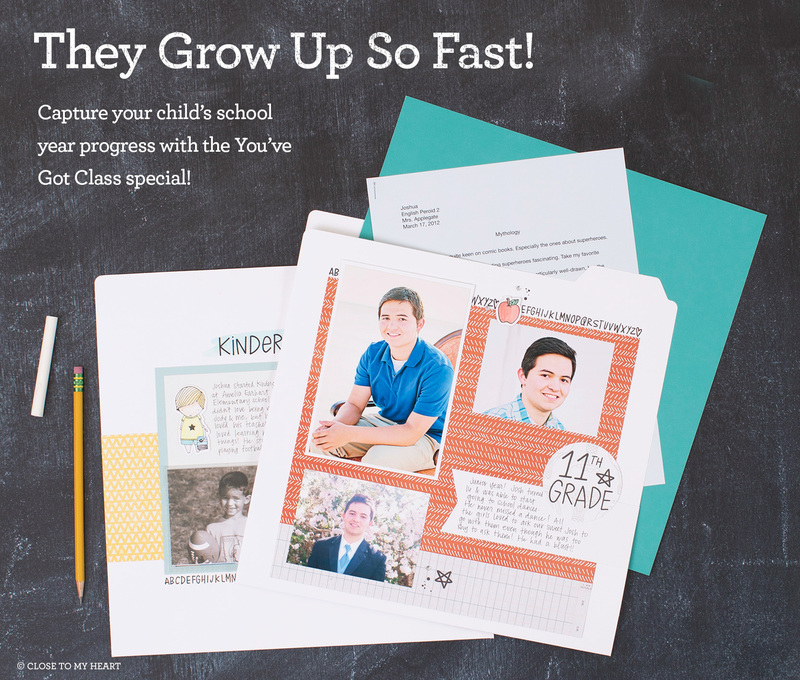 Preserve your child's K-12 school progress with this unique project, which includes instructions and materials for 14 single-page scrapbook layouts. This album also includes special folders made for preserving standout schoolwork and other memorabilia, making it the perfect way to preserve your memories of these formative years. The "special folder" is one of our retired products, the True Fit Folios. Do you remember them? They were a very popular product years ago and they are back for this special only! They do measure 12" x 12", allowing you to design and create a layout as you are used to doing. You can elect to decorate the inside as well, to include additional photos, or simply use that area to store those items you just can't throw in the trash. The second image shows you the BACK side of the folder, in this case, highlighting Kindergarten of this boy's school years. Isn't it adorable AND purposeful? This last image shows one interactive element, incorporated throughout the pages, Flip Flaps! 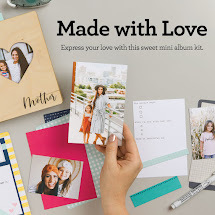 They provide a great way to add additional photos, journaling, or...what about a private message from you to the individual highlighted? 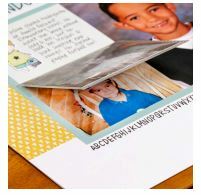 The Folders can be placed in a Memory Protector to safely store the photos and memorabilia. 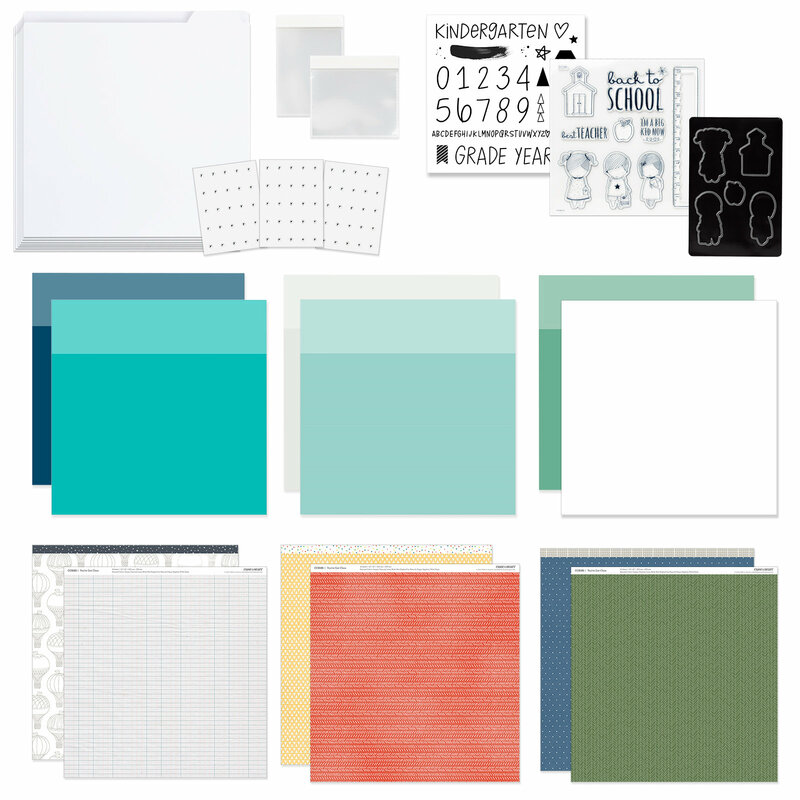 The You've Got Class Workshop Kit is a great way to preserve anyone's school memories! 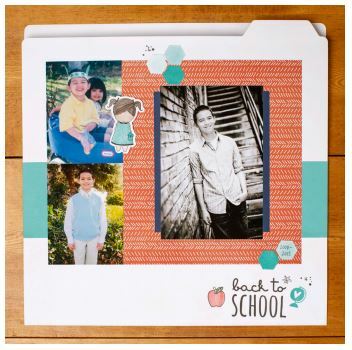 Do you have any school photos you still need to scrapbook of yourself, your children, your grandchildren? Do you have a Senior graduating this year or in the near horizon? Do you know you will be invited to a Graduation in the coming year where this would make a great gift? Or...maybe you have someone who is just about to begin school. Wouldn't this be a great way to document the year's highlights without too much work? AND...on Graduation day, in 12 years, you can provide them with it as a gift! You can get the kit for $61.95 (retail value of $83.45)! And, like always, you can elect to purchase individual items. 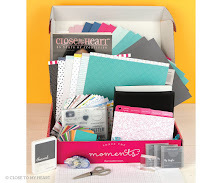 Click on THIS LINK and you will find the You've Got Class Workshop Kit. At the bottom is the FREE and downloadable guide for creating the pages PLUS you'll find thumbnail images of all of the artwork designed for this special. We've got a new Consultant Kit that is NOW AVAILABLE! It contains NEW products that just released! There are so many benefits of being a Consultant! It costs just $75 to join my team, the Heartfelt Sentiments, and you get much more than what you invest, including opportunities to achieve other milestones and obtain FREE products! I welcome any and all to my team, whether you want to simply save money on your purchases or want to make it a full-time business. All are welcome here and I'll support you where you are. Contact me with your questions or for more information! What kind of party does it have to be? It doesn't matter! In-person events are the best, in my opinion, because you get to touch, feel and play with the products, as do your guests. However, if you'd prefer not to have to clean your house (LOL), or you don't live near me, we can do a catalog or Facebook party. You will reap the same rewards, regardless of the format! 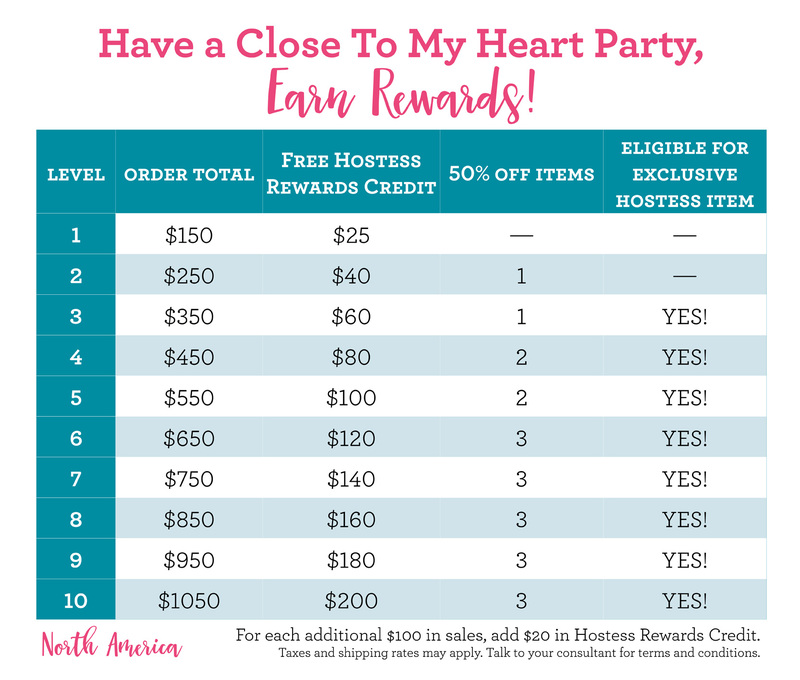 You can earn a minimum of $25 in FREE products (select Hostess Rewards) when your party reaches just $150 in sales! But...as the sales increase, so do your rewards and I will do all I can to get you as many FREE products as possible! Notice that once you achieve the $250 level, you get one item at 50% off (ANY product) and at $350...Exclusive Items kick in! 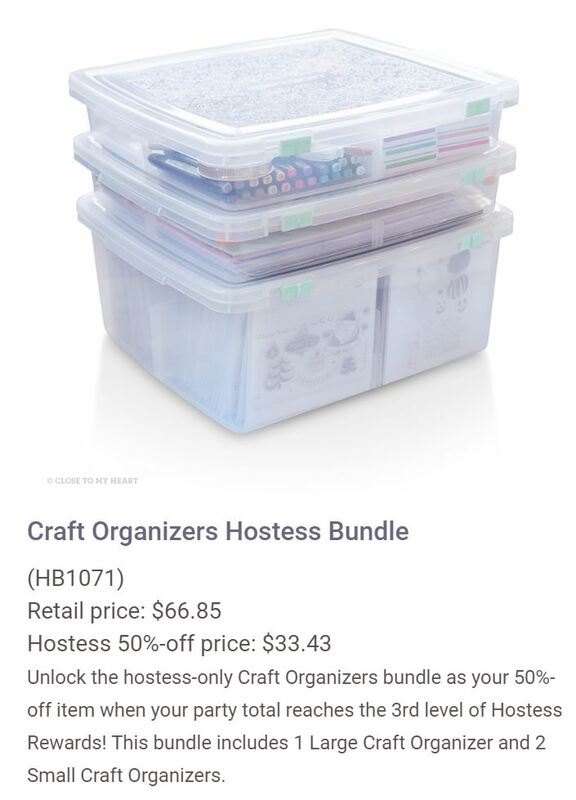 This is just one of the bundles you have to choose from at Level 3 and higher; this one with three of our new Craft Organizers! Check out that low price you would pay! Isn't that fabulous?! If you would like to host a party, CONTACT ME TODAYso we can get it on the calendar! Mine is filling up and I don't want you to miss out! You invite the guests...I'll do the rest and ensure a great time for all! Complete details about ourHostess Program can be found here or let me know if you would like me to send you the information. The best way to stay informed of special offers, new products, artwork creations and upcoming events is to be a member of my VIP group on Facebook. It's the first place I post exciting information and artwork I have created. If you would like to join the fun there, click on the link and I will accept your request for Membership.